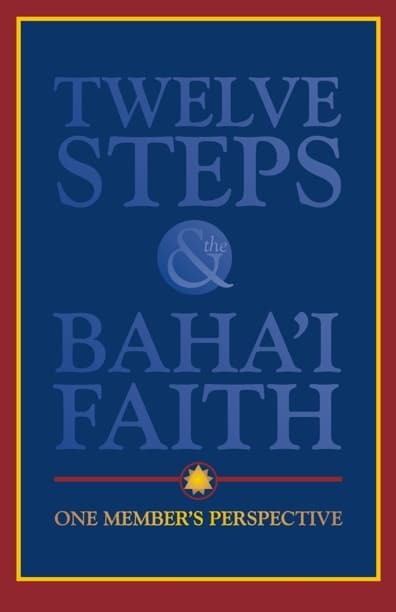 The goal of Twelve Steps and the Bahai Faith is to explain to people in recovery how the Baha’i Writings can help them develop a closer connection to their Higher Power, and to describe to members of the Baha’i Community how the twelve-step program works and what they might gain by joining a recovery group. The goal of Twelve Steps and the Bahai Faith is to explain to people in recovery how the Baha’i Writings can help them develop a closer connection to their Higher Power, and to describe to members of the Baha’i Community how the twelve-step program works and what they might gain by joining a recovery group. I know, this is hard for many people to hear, but it is true. Even if you don’t think you have anything to recover from, the truth is that life is difficult, and we all need help recovering from the human condition. With dozens of twelve-step groups to consider, chances are good that at least one of them will speak to a need that you have been trying to ignore. When Baha’is in recovery talk about what they experience in the recovery community, the words they use are Honesty, Authenticity and Unconditional Love. Isn’t that enough to at least make you want to check it out? 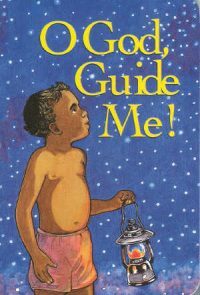 I hope that Baha’is buy this book and read it, and that after they have read it they start handing it out by the dozen to the people they know who might be struggling with addictive or compulsive behaviors. Addictions are not happy things to talk about, but this is a happy book. It will give you hope for your friends and for yourself. 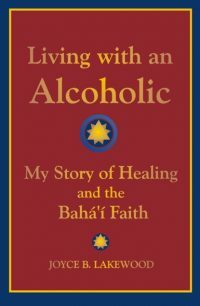 You know that I am a Baha’i, and if you have read any of my books, you have probably guessed that I also have a lot of experience with the twelve-step recovery community. I love both of these communities, and I feel in my heart of hearts that they have a lot to offer each other. 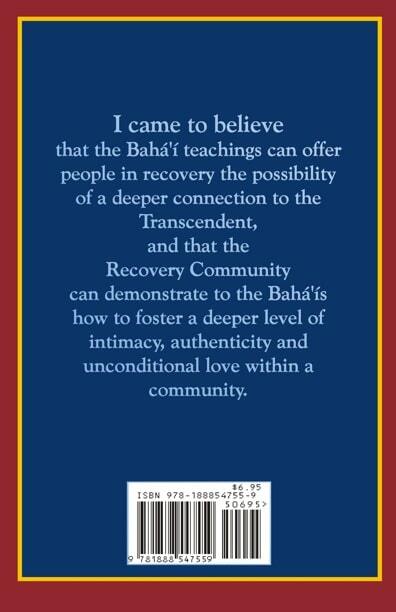 You will note that I didn’t say that people in recovery can gain a lot from becoming Baha’is. I said that the two communities have a lot to offer each other. I firmly believe that when people in recovery are exposed to the Baha’i Writings, they will become attracted to the Baha’i Community, and when the Baha’i Community internalizes the lessons that the Recovery Community has to teach, they will become attractive to the entire world. It is win/win all the way around. It is only 96 pages long. 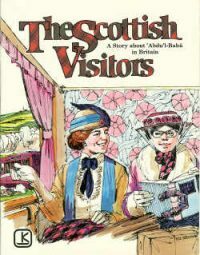 You can read it in an afternoon, and it might just change your life. It is a wonderful companion to Living with an Alcoholic, which presents some of the same ideas from the other side.